Basel: No tango for BVB? An article in Basler Zeitung (14th May) suggests that BVB is withdrawing from its part of the joint tango procurement with BLT. A Combino derivative seems to be the preferred option. 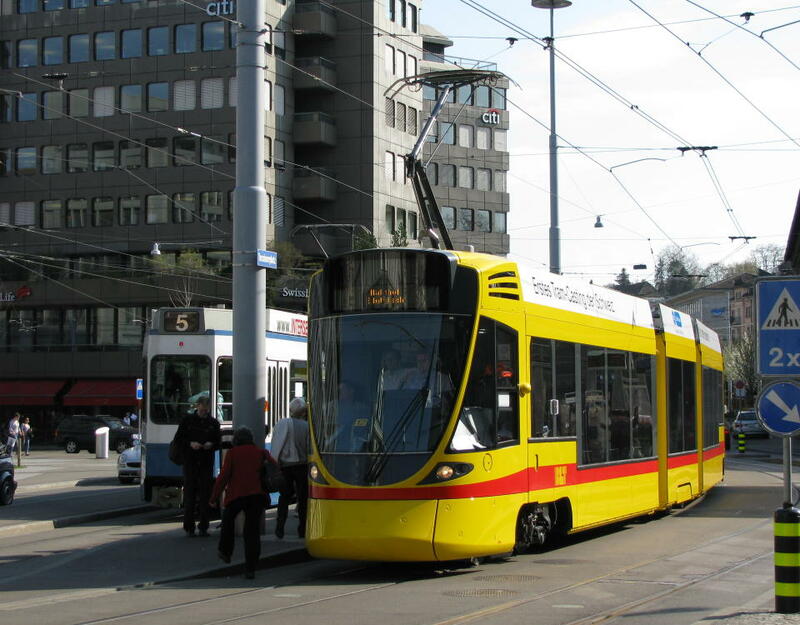 BVB is seeking to acquire 30 trams by 2014. Website comment: The article reports some rather tenuous arguments by BVB. An argument against the Tango is that BVB needs trams of different lengths (for example to be able to serve the Bruderholz lines). One wonders whether it was really not possible to obtain a shorter Tango, or indeed why this fact only occurred to BVB now. But it gets even stranger, with "Peak Oil" and an aging population being cited. If BVB is really so concerned about Peak Oil, one wonders why they were so desperate to get rid of the trolleybus. Arguments as to why the Tango should be more oil-hungry than a Siemens tram are not provided. The original newpaper article can be read here (external link). This news item is from the 2010 newslog.